With the rise of Enterprise 4.0 and the Internet of Things (IoT), more companies and governments are riding on tech trends such as blockchain, cloud-based applications in a bid to build a digital enterprise and economy. But as countries push for digital transformation, the potential vulnerability to cyber-attack across industries increases too. In an exclusive interview with Techseen, Chiueh Tzi-Cker, Vice-President & General Director, Industrial Technology Research Institute of Taiwan (ITRI), Satish Allampalli, Director, Advantech, and Phoebe Chen, Regional Manager, PLANET Technology share their views on how enterprises can brace themselves against cyberattacks. Techseen: As per a Cisco report, the number of connected devices are estimated to exceed 50 billion by the year 2020. A security breach in these IoT devices will easily disrupt business operations. How can companies effectively prevent their devices from these cyberattacks? Chiueh: I think it is very easy for enterprises to overlook all the different entry points for cyber threats to exploit. When they go through digital adoption, enterprises must realize that their threat exposure area is growing faster than they imagine. To protect against cyberattacks, enterprises (especially SMEs) must ditch the “it won’t happen to me” mindset. Cyber criminals are more aware than them to the fact that they are less likely to invest in, or be able to, afford a comprehensive IT security framework. Next, enterprises need to secure all devices plugged into a network. Something as simple as an IP camera can be an accessory to cybercrime. I believe this was quite a popular method not too long ago in administering DDoS attacks globally. If there is a cybersecurity skill shortage, get help. Partner with a security solutions provider and let them work out what’s best for you. Allampalli: Having been mostly involved in the industrial form of digitalisation, my response to this is very industrial-centric, and by extension, enterprise focused as well. The important thing when dealing with IoT devices around security, especially, is to address the need to be ‘mobile’ and timely. Enterprises must begin thinking about adopting a scalable, extensible and low-overhead software that enables centralised security management, monitoring and reporting for connected IoT devices. This is in addition to the usual basics of an updated antivirus and firewall protection. A singular dashboard that can both be remotely accessed by the administrator and remotely access the aggregation of IoT devices will measurably decrease the time taken for identification of threat source. Techseen: How equipped do you think machine learning and AI are in protecting enterprise IT from advancing cybersecurity threats? Chiueh: Machine learning is definitely capable of doing so. In fact, it is not so much the capability of AI that is lacking as it is the apprehension with which enterprises treat AI adoption. Many of them think of it as expensive or unnecessary. I think enterprises need to recognise that cybersecurity is not just about protecting your data and networks. It is essentially a business enabler. With a robust cybersecurity system, your business has about a million less things to worry about! AI has been around for a long time. What has changed? The breakthrough in discovery of embedding hidden layers in artificial neural networks has made AI capable of just about anything, with the right algorithms. So yes, I believe AI is well-equipped to deal with cybersecurity threats. In the same way, it is also equipped to conduct higher order cyberattacks. The sheer monitoring and mining abilities of AI is beyond human capability to comprehend, especially with such large datasets. Techseen: The WannaCry cybercriminals used blockchain technology to settle the financial transactions with the victims. Does this mean blockchain has emerged as an irremediable means for criminals to execute their operations? Chiueh: This boils down to security. For implementation of such technology, it is imperative that the on-premises security of organisations is built to guard against all current and future exposed threat surfaces. By extension, individuals need to guard themselves and their own devices against cyber threats to prevent cybercriminals from leveraging such technology to conduct criminal activity. We must first understand that managing cryptocurrency is but one use of blockchain technology. The technology itself is neutral, it can be applied in many territories. Blockchain is rooted in providing a sort of digital truth. Its technology and mechanics makes it such that the records that are grouped together as one block are encrypted based on data from the previous block. This means that an entire chain of records exists in interdependence, each timestamped, in a manner that is yet unalterable. In fact, its ‘transparency’ is one of the reasons why it is considered revolutionary. The public availability of a digital ledger that cannot be altered spells many possibilities for business, government and society. That should be the focus of blockchain discourse. Techseen: According to a report, India ranked fourth on the list of top target countries for Web Application Attacks and 10th in the list of “Global Web Application Attack Source Countries” in the fourth quarter of 2016. What do you think is the need of the hour in fighting such threats? Chiueh: There must be action from 2 ends. The providers and developers of Web Based Applications must ensure that in their development process, they take into consideration the overall integrity of its potential users. Upon rolling out, the developers must sustain this vigilance towards their reputation as a provider and maintaining their users’ data security. The immediate need is for all employees to be educated on the basics of contributing to the maintenance of both organisational and personal data security and integrity. Vulnerability from within can dismantle the strongest, most complex of network security systems. The fact is that most cyber-attacks occurred because someone did, or did not do, something, causing a lapse in security. Alerting employees on the importance of something as simple as having a strong password is sometimes lacking in the biggest of organisations. A simple rundown on common indications of cyber threats will go a long way along with regular reminders to the employees. Techseen: According to Trend Micro’s 2016 Global Roundup Report, 27 per cent of cyber-attacks were launched targeting Asia Pacific’s enterprises and individuals. Where do you think the APAC market is lagging as compared to the West in its preparedness for security vulnerabilities? Chiueh: In a recent study on the state of digital, it was found that APAC is now home to more than half the world’s internet users. This is hardly surprising as our region is home to 7 of the 10 most populous countries in the world. The region was responsible for the 70% growth in global internet users and it is unlikely that this trend is going to slow down. As businesses go digital and thrive, the new digital adopters may have done so at a speed where perhaps the accompanying implications surrounding technology adoption were not fully articulated and hence, the users are ignorant of the threat exposure. This makes them vulnerable to advanced threats that are everywhere these days. I think simply put, we have the most number of Internet users in the world. This connected group is a bigger target group of potential victims. The speed of digital adoption also means that most are not savvy enough to realise cybersecurity concerns and thus, fall prey to cyber-attacks. I believe it is just a disparity of time. Techseen: Public safety and security organizations primarily rely on web-based applications to provide remote access. How can these web-based applications be protected from unauthorized access by individuals who would use the data to cause harm? Chen: Basically, all networking and communications products should support the SSL (Secure Sockets Layer) protocol. Through the authentication and encryption of each data packet being transmitted, SSL protocols secure connections between clients and servers over insecure networks, thus avoiding any malicious intrusion and unauthorized access. These products should also come equipped with a firewall that monitors traffic to and from the SMB network, making sure intruders and hackers are kept at bay. Allampalli: Indeed, the migration to cloud is no longer a possibility but an eventuality. To deploy business capability on the web, enterprises should also correspondingly acquire security capability on the same platform. A solution that can easily implement security applications, configure policies and tasks, control updates and monitor events for all managed systems is key in the protection of business data. Techseen: Can you suggest some tips for young startups to better equip themselves against cyber attacks? Chiueh: The disturbing reality is that startups face the exact same threats as bigger organisations. In fact, individuals are as susceptible to cyber-attacks as well. Understandably, they invest their limited resources on product development and promotion to achieve faster time-to-market and ultimately become profitable as soon as possible. 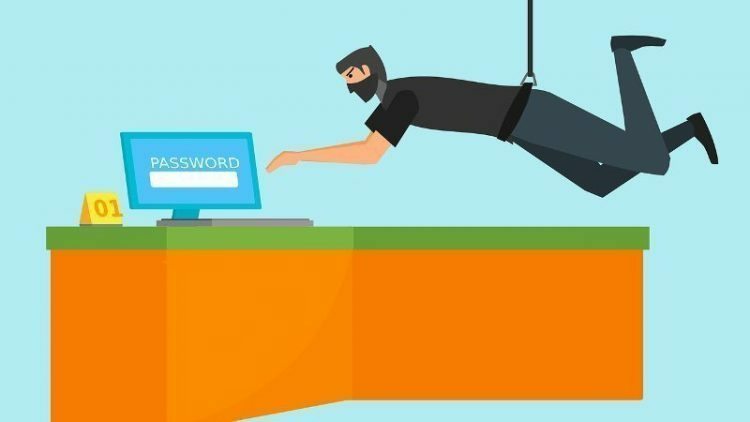 This is a major concern because startups that fall victim to cyber-attacks would suffer from a damaged brand and financial troubles and even a closure of the business. Unlike bigger companies like Google and Apple which are deeply ingrained in people’s lives, startups do not enjoy such protection. Young startups could adopt certain cost-effective solutions. Firstly, it is important for a company to have a holistic understanding about the kind of risks and vulnerabilities they are exposed to, ranging from the types and purposes of cyber-attacks to the different kinds of cyber fraud schemes such as phishing and pharming, and even the correct method to identify points of weakness in the network. Secondly, having an emergency response plan in the event of a cyber-attack is imperative. Just like a fire drill, it is ideal to carry out practices to ensure that all employees have good knowledge of their roles and responsibilities if a cyber-attack occurs. Only when each employee in the company is clear on this, can the resolve the issue in an organised and efficient way. One of the more basic yet important step is to ensure that the networks, operating systems, anti-virus programmes and any other software are up to date. This will protect your company from latest threats and improve the security of the infrastructure. At the end of the day, rather than taking everything on board in favour of a lean structure or asset-light model and suffering from cyber-attacks, if there lacks expertise within the enterprise, it is prudent to engage the services of domain experts.